Caskets & Cremation Vessels. 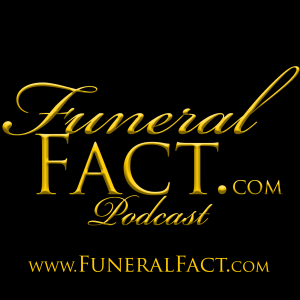 In this episode of the Funeral Fact Podcast, host Jeff Kasper interviews Ed Cox, Funeral Service Consultant for Matthews Aurora Funeral Solutions in Aurora Indiana, USA. Topics include: What's the difference between caskets? Do I need to buy one? Is one casket better than another? How much do caskets cost? What about Cremation Urns? What choices do I have? Should I buy a casket from a funeral home or a large retailer? Can I purchase a customized casket or urn? Can I pick out a casket in advance of my need? And much more! Please subscribe and rate this podcast in either the Google Play Music or iTunes store. Don't forget to visit our website at http://www.FuneralFact.com where you will be able to submit questions, suggest possible topics for future episodes and much more.